The Wudang Yinxiang Hotel provides a great place for travelers to relax after a busy day. The Wudang Yinxiang Hotel offers a pleasant stay in Danjiangkou for those traveling for business or leisure. The hotel is just 14km away from Wudangshan Railway Station. Many local tourist attractions including the Wudang Mountain Gate and Wudang Mountain can easily be reached with a short drive. At the end of a busy day, travelers can unwind and relax in the hotel or go out and enjoy the city. Travelers requiring pickup service can book this directly through the hotel. Airport pickup can be arranged by the hotel upon request. This Danjiangkou hotel provides parking on site. Our guests rate this hotel as one of the best hotels for cleanliness. 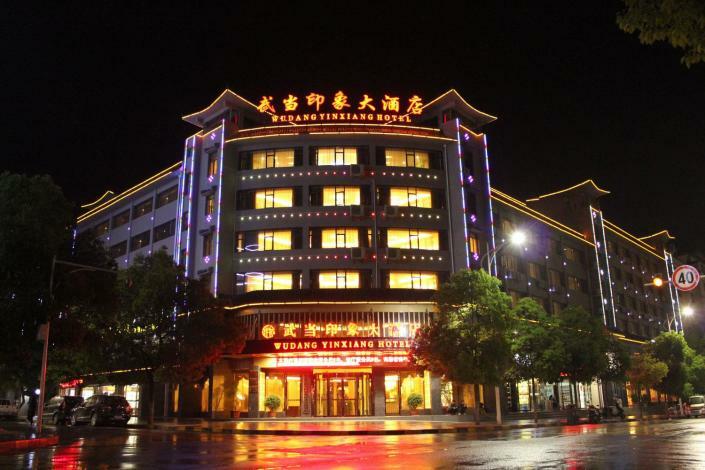 This hotel is a popular accommodation for groups of friends traveling together. - 2 km to Wudangshan Railway Station.